Very Official... We present our original CLC "Liberty Torch"! 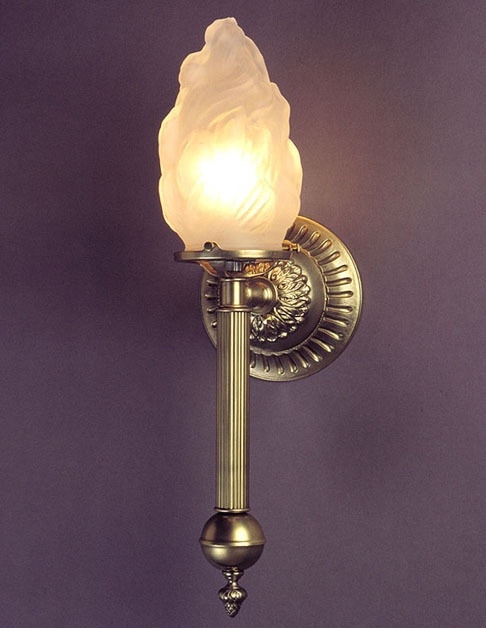 This is a very unique wall sconce with both Victorian and an Art Deco feel. Back in the old days, a Library or Town Hall might have placed these in multiple locations. This fixture is certainly for the discerning and upscale tastes, for the more demanding location. Width 5 In. / Projection 7 In. / Depth 17 In.